Send Yellow Rose Bunch to Chennai. Gifts to Chennai. Send Flowers to Chennai. 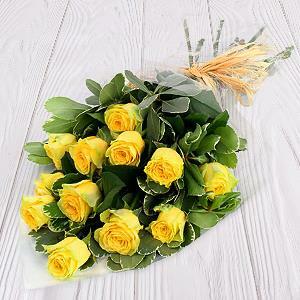 Description : A Beautiful Handtied Bunch of 12 Yellow Roses to win over the hearts of your loved ones in Chennai. There is a thing about yellow roses. They signify the life which the loved ones fill your heart with. Gift2Chennai.com also service to send Gifts to Chennai safely and securely.